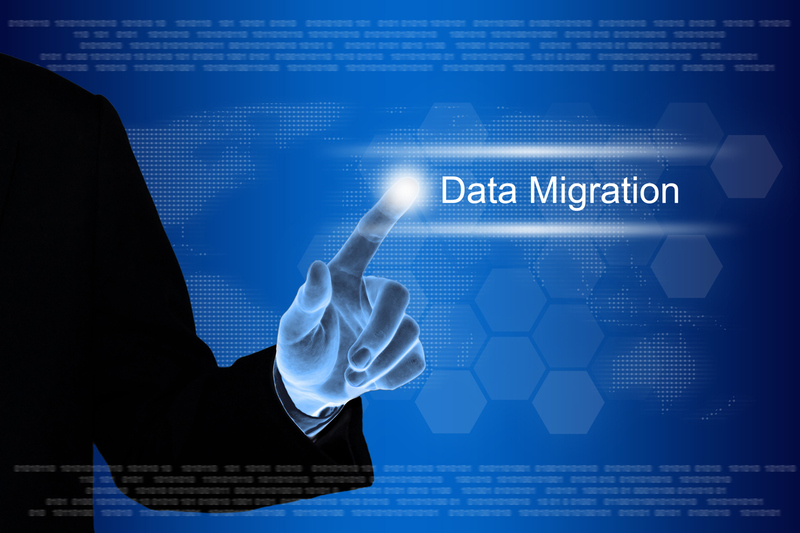 If you own a business, at some point and time you will hear the words ‘Data Migration’. But what exactly is data migration and do you really need it? First, let’s start with what is data. In your business, data is all the information that is needed to run your business. Information about your employees, your clients, your vendors, your inventory, your business rules, and any other details that are required to keep the business operating. I think you can see now that data in your business is not only vital but there can also be a lot of it. That brings us to the next point, eventually the data your business collects will get so massive that you will have to move it somewhere other than where it currently is. This process of moving data from one place to another is known as data migration. Now having a massive amount of data is not the only reason businesses migrate their data to another place. Other reasons for data migration are when there is an upgrade of existing hardware or a transfer to a completely new system; when two companies merge their systems into a new one due to a merger, acquisition, or buy out; regulatory changes; or to create a data warehouse in order to back up business data to. There are several things that need to be in place before a business should even attempt to begin a data migration. After all, you are dealing with all the data that makes your business run. You do not want any surprises in the process that could cause corruption or loss of data. Your business’ data is too important to handle it haphazardly. Step 1: Assess – Prior to beginning the data migration process make sure an analysis is done into what your business’ data, processes, and pain points are. It is important to know the state of these things prior to the data migration process so that you know where you want it to go from there. Step 2: Know Your Goal – You should know what your goal or strategy is prior to beginning the data migration process. Your goal should include budget, timeline, who is going to be on the team in this process, and anything else that is vital to a successful migration. Step 3: Know Your Data – Before shuffling your business data over to its new system, it’s best to know what data you currently have. Is it all valid? Does it need to be cleaned up? There is no sense in migrating old, invalid, incorrect, bad data to a new system. This is the time to clean it up and delete or correct any data that needs to be updated. You want to migrate clean, usable data to the new system. There is no sense clogging up the new system with information that is no longer usable for your business. Do the clean up now before the data migration process begins. Step 4: Know Your Team – A process like this needs the right team to make it a successful migration. It is best to have all stakeholders present on the team such as a representative from each department that relies on the data being migrated. Also, a project this important requires a project manager to be responsible for maintaining the budget, keeping stakeholders on board, and making sure that the project is completed within the timeline projected. There also needs to be leadership/management involved in the process due to the importance of the data at hand. They need to also be the final decision makers when it comes to certain crucial steps in the data migration process. Step 5: Prioritize – There are a lot moving parts in the data migration process and everyone is going to think their department’s priorities, objectives, and opinions are more important than everyone else’s. It is the job of the project manager and leadership to come up with a clear scope of what needs to be done, what the goals and objectives are, and to keep everyone up to date by keeping solid communications going during the process. Step 6: Tools – Before beginning the data migration process it is best to explore the many tools available to make this a successful endeavor and pick the one that fits your business needs. The proper tools will make sure the data migration is not only done correctly but also done within the projected scope and budget. Step 7: Plan and Schedule – Any time anything changes in an organization there is the potential to disrupt business. The way to most effectively avoid any disruption to business is to carefully plan and schedule when everything is going to happen. Now, sometimes the best laid plans still go wrong and wind up disrupting business regardless of efforts to the contrary but careful planning will minimize this possibility greatly. Step 8: Train – Plain and simple. Make sure everyone that will use the new system understands how to use it and knows what procedures are in place to make sure that the new data stays clean, usable, and remains that way. DataOne Networks’ experienced technicians can undertake your data migration project to make sure your transition to a new computer or systems runs smoothly and without data loss or errors. Our best practices and methodologies allow us to provide a migration solution that minimizes (or eliminates entirely) your down-time while making sure your system performance is not reduced or affected in any way. Call us today (888) 825-2987 to learn more about how we can help you and your business.